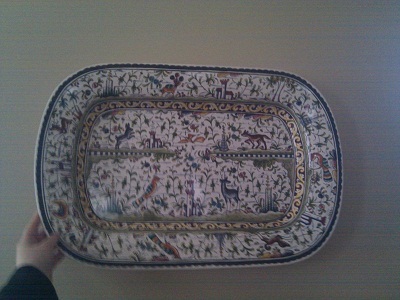 That’s a ceramic platter we have. It weighs nine pounds. 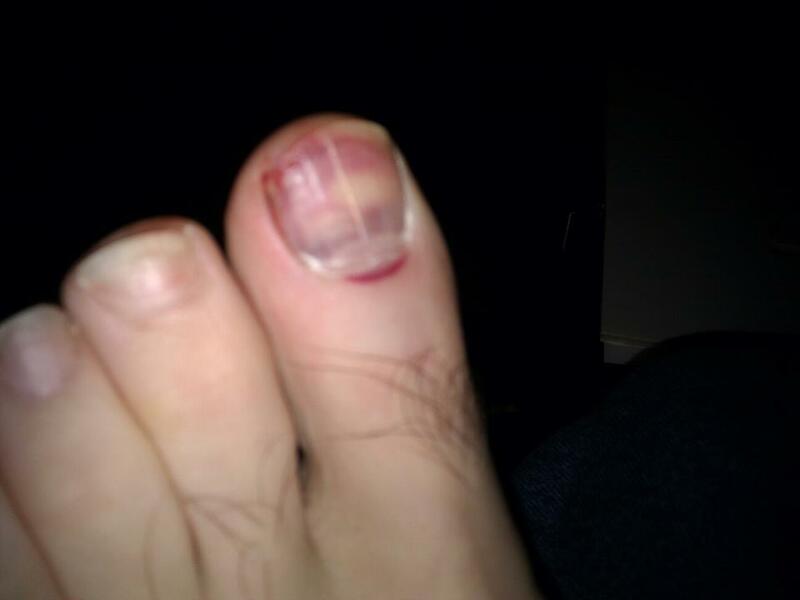 It fell off a chair onto the tip of my left big toe. I was wearing socks and standing on a hardwood floor. The platter hit edge-first. The good news — the platter is fine. The platter thanks you for your concern. 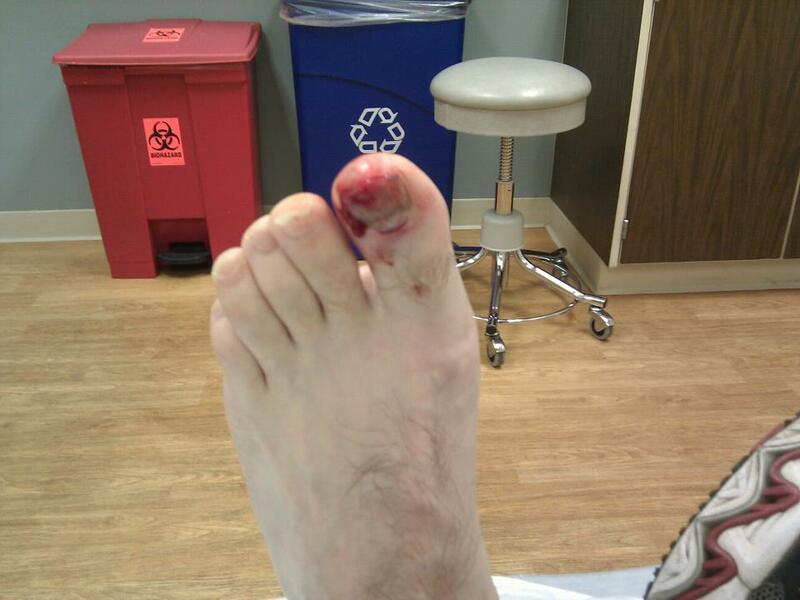 My toe hurt like a mother. Here’s a blurry picture of what it looked like a few minutes later, after the searing pain had subsided. I could wiggle my toe and touching it didn’t seem like it hurt that much — except for the nail — so I didn’t think it was broken. But soon it started to bleed out of the corner of the nail, and once it got going the blood wasn’t stopping. It didn’t hurt much, so we wrapped some paper towels around it and had dinner. 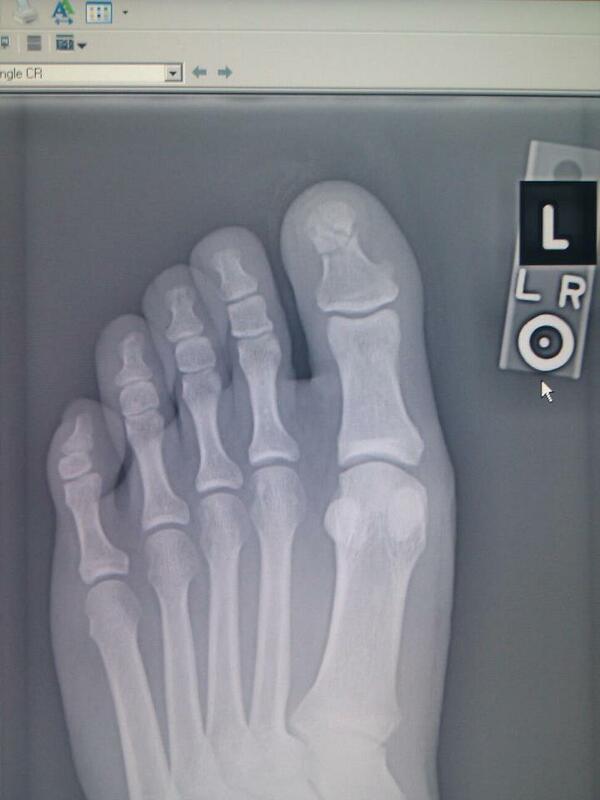 You don’t have to be much of a medical expert to see something wrong on that big toe. That should all be one bone, not five or six. Ouch. Shouldn’t that hurt more? Don’t ask me. They pressure-bandaged the toe to slow the bleeding and sent me home in one of those open-toed post-surgical shoes. It oozed and bled for about four days; it was such a relief when I no longer needed any bandages. I limped pretty badly for a week and I still have to be very careful if I’m wearing shoes. I saw a podiatrist the week after it happened, but he didn’t give me anything different to do — no casts, splints or boots. Obviously, I can’t run either. I don’t know exactly how long I’ll be out — I’m supposed to go by how it feels. Six to eight weeks is a good guess though. I’m two weeks and three days into it now. You are currently browsing the I'd Rather be Running blog archives for January, 2012.